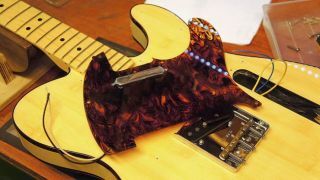 WORLD GUITAR DAY 2018: There are loads of cool tweaks and mods you can make to your trusty guitar to improve the action, tone and operation, and you don't need a degree in astrophysics to execute them. Fancy adding pickups to your acoustic but don't know where to start? Or have you been meaning to mend that pesky broken jack socket for months? What better time than World Guitar Day to give your guitar a repair or upgrade!